Every once in a while an album comes along that knocks your average metalhead from his comfort zone. Such is the case with Singaporean quartet Rudra, whose unique take on extreme metal will compel many a curious listener to start reading about the band's theme of choice: the Vedas. The what? Vedas. It's this literary canon encompassing ancient Hindu philosophy and customs, being somewhere along the lines of a manual for human existence (among its better know parts is the Kama Sutra). Impressive, huh? Wait till you hear how Rudra put it to music. They actually just focus on one aspect of the Vedas, non-dualism, and stretch it across six albums. For this year's Brahmavidya: Transcendental I the extreme metal Rudra has been peddling since the mid 90's ventures into epic and progressive territory, resulting in such immense tunes as Natural Born Ignorance, the galloping Advaitamrta, and the sonic whirlpool that's album closer Majestic Ashtavakaram. This is not to say the rest of the album suffers in comparison; ignoring the interludes Adiguru Namastubhyam, Bhagavadpada Namaskara, and Meditations At Dawn�they're in Sanskrit anyway�the craving for brutal stuff will be amply satisfied with Ravens of Paradise, the blast beat driven Amrtasyaputra, Hymns from the Blazing Chariot, Reversing the Currents, and Not The Seen But The Seer. 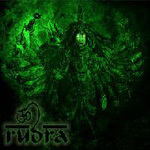 In addition to their unbridled ambition, Rudra's disregard for a single-minded sound based on endless blastbeats and dirty guitars proves an enduring quality. While frontman Kathir's growls are indeed raw, his bass lines are infectious�hear them race with Shiva's precision guided drumming on Immortality Roars. The band's two guitarists aren't slouches either, engaging in bombastic, twisting shred duels for Amrtasyaputra, Reversing The Currents, and the swirling album closer Majestic Ashtavakra. Connoisseurs of extreme metal are guaranteed satisfaction with this eclectic and diverse offering. Without a doubt, Brahmavidya: Transcendental I is a rare album balancing serious gray matter with the most uncompromising music in existence. It isn't perfect (those interludes do get quite boring), but its sterling qualities far outweigh minor flaws (who cares about the Vedas anyway?). Still, this is a must for adventurous ears out there.